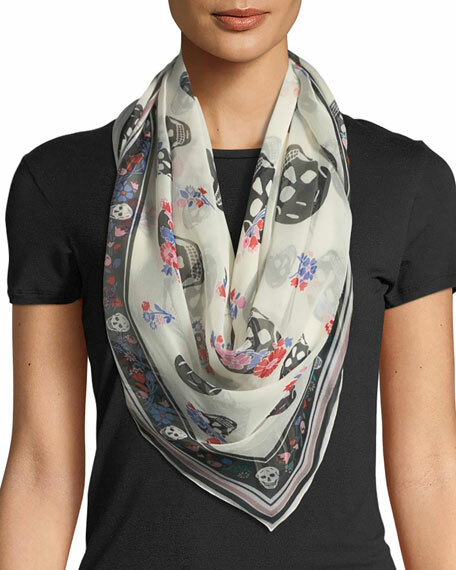 Alexander McQueen silk scarf in Crown Skull pattern. Approx. 47" x 41" (120 x 104cm). For in-store inquiries, use sku #2525887.